The Faculty of Engineering at the University is the pre-eminent centre for engineering studies and research, offering the widest choice of disciplines providing cutting-edge education and incorporating the latest developments in each field. The Faculty consistently performs well in international rankings and the staff & students are successful at winning competitive awards at the highest local and international levels. The Faculty of Engineering at The University is focused on real-world and responsive to the marketplace, maintaining strong and extensive industry links. An advocate and practitioner of Emotional intelligence in workplaces, Dr Ketan Kotecha is at the helm of the Symbiosis Institute of Technology, Symbiosis International (Deemed University). An exceptional academic leader, he has a firm grip on the steering of the institution towards desired vision and mission. He is also the Dean of Faculty of Engineering at the University. An advocate and practitioner of Emotional intelligence in workplaces, Dr Ketan Kotecha is at the helm of the Symbiosis Institute of Technology, Symbiosis International (Deemed University). An exceptional academic leader, he has a firm grip on the steering of the institution towards desired vision and mission. He is also the Dean of Faculty of Engineering at the University. His 23 years of extraordinary career saw him serving in the finest of the engineering colleges in various higher technical education leadership positions. An advocate and practitioner of Emotional intelligence in workplaces, Dr Ketan Kotecha is at the helm of the Symbiosis Institute of Technology, Symbiosis International (Deemed University). An exceptional academic leader, he has a firm grip on the steering of the institution towards desired vision and mission. He is also the Dean of Faculty of Engineering at the University. His 23 years of extraordinary career saw him serving in the finest of the engineering colleges in various higher technical education leadership positions. Dr Kotecha was founding Provost of Gujarat's largest private university- Parul University. 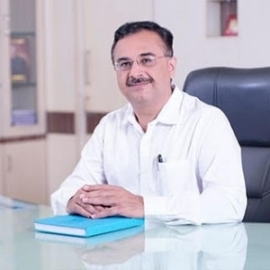 He was Director – Academic Development and Research Cell, Nirma University, Ahmedabad, where he also served as the Dean and Director of the Institute of Technology, Nirma University. 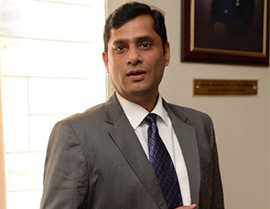 He was Governing Council Member of the USA based Global Engineering Dean’s Council – India Chapter and is also a member of National Advisory Council for Confederation of Indian Industry’s (CII) Engineering and Management Curriculum Restructuring Task Force. He is the member of Governing Council of various universities and member of Academic Council at few Universities. He was a Member of the Technical Advisory Committee of BRTS, Ahmedabad and is also a member of Metro–Link Express for Gandhinagar. Dr Kotecha is also an independent director of Gujarat Informatics nominated by Government of Gujarat. Dr Kotecha has a doctorate from IIT Bombay and a very illustrious and path-breaking research activities under his belt. A researcher- teacher of Deep learning, his interest areas are Artificial Intelligence, Computer Algorithms, Machine Learning, Deep Learning Higher Order Thinking Skills, Critical Thinking and Ethics & Values. He has more than 100 papers published /presented at international conferences around the world, to his credit and 3 patents filed. He is Guide to doctoral students working on the various field of Computer Engineering and especially in Machine Learning for PhD/MTech Degrees. A recipient of Erasmus + faculty mobility grant from European Union, Dr Kotecha was invited by Wroclaw University of Science and Technology and Poznan University of technology, Poland for delivering sessions on Machine learning. Earlier he was visiting expert to University of Pretoria, S. Africa. He was also invited and visited in various countries like USA, Canada, Singapore, Hong Kong, S. Africa, Poland, Germany, Cz Republic, Switzerland and Argentina. Dr Kotecha is a pioneer in Education Technology, and believes in drastic and needed curriculum reforms and innovative teaching-learning practices as call of the hour. A voracious reader, he is passionate about travelling and indulging in good food. Symbiosis Institute of Technology, a constituent of Symbiosis International (Deemed University) was established in the year, 2008 and currently offers B. Tech programmes in Civil Engineering, Computer Science and Engineering, Electronics & Telecommunication Engineering, Information Technology and Mechanical Engineering and M.Tech programmes in Computer Aided Design and Manufacture, Electronics and Telecommunication Engineering, Computer Science and Engineering , Geoinformatic & Surveying Technology and M.Sc. programme in Physics. Research programmes leading to Ph. D. Degree have already been started in Faculty of Engineering of Symbiosis International (Deemed University). The Institute endeavors to provide quality technical education in line with the requirements of today's competitive industry and fast paced technological developments. The curriculum developed by the Institute lays a stress both on basics and latest developments. Realizing the fact that faculty is the most important resource, special efforts have been made to find, recruit and retain highly qualified and competent faculty. Infrastructure created and acquired by the Institute, like all other Symbiosis Institutes, is of a very high quality and includes multimedia classrooms, well equipped labs including software for CAD/CAM, simulations and other applications, well stocked modern library with digital media, auditorium, seminar halls, separate hostels for boys & girls and playgrounds. India is one of the fastest growing economies and the contribution of Geoinformatics towards growth has been immense. In spite of having gained international recognition at a very early stage, Geoinformatics is gradually gaining popularity in the Indian subcontinent as well. Symbiosis Pune, was amongst the first to recognize this brewing change of trends and accordingly took initiatives that led to the inception of SIG in 2004. Once SIG came into existence, there was no looking back. In line with the legacy of Symbiosis colleges in pune, SIG provides its students with the best in terms of education and learning environment. Our courses have been aimed at not merely educating students but to create competent and expert human resources to meet the ever-growing demand of digitization, environmental impact, GIS development, map analysis, remote sensing, watershed management, photogrammetric mapping, navigation and e-governance. At SIG, our endeavor is to impart education and training in geospatial technologies. Our programmes aim to create highly trained professional equipped with a cutting edge. It helps students the students to create their own career roadmap. Dr. T.P. Singh has vast experience in the field of Geospatial Technology in India and abroad. He has started his career in Geospatial technology from the Indian Institute of Remote Sensing, where he has worked on the projects of national importance. He has earned his PhD degree in the area of satellite Image Classification techniques from HNB Garhwal Central University, Srinagar and M.Phil in Geo Engineering from College of Engineering, Vishakhapatnam. Dr. T.P. Singh has vast experience in the field of Geospatial Technology in India and abroad. He has started his career in Geospatial technology from the Indian Institute of Remote Sensing, where he has worked on the projects of national importance. He has earned his PhD degree in the area of satellite Image Classification techniques from HNB Garhwal Central University, Srinagar and M.Phil in Geo Engineering from College of Engineering, Vishakhapatnam. Dr. Singh has received Master Degree in remote sensing from Pierre and Marie Curie University (UPMC), Paris University VI, France and M.Sc. from University of Lucknow in Environmental Science. He has received the European Professional Higher Post Graduate Diploma in Geoinformatics from GDTA (Institute under French Space Agency) in association with Paris University VI France, University of Lisbon, Portugal and Warsaw University of Technology Poland. Dr. Singh has worked on LiDAR technology at the University of Freiburg , Germany on Automatic feature extraction. Before, taking academic position at Symbiosis, he has served at different government centres. Dr Singh is the member of many professional bodies and Vice Chairman of Indian Society of Geomatics, Pune Chapter. He has Edited many books in the field of Geospatial Technology, Climate Change and Natural Resource Management and published several papers in the peer reviewed journals.